Tuba was, is, and always will be the people’s drink—homegrown, unpretentious, readily accessible, and as far as general knowledge is concerned, devoid of any standards of quality or drinking etiquette. But of course, aside from the supreme ability of being able to drink quantities of it without toppling over in drunken stupor, there are standards of flavor as any connoisseur will tell you. The tuba wine is found in many parts of the Philippines, not just in Leyte or Samar. 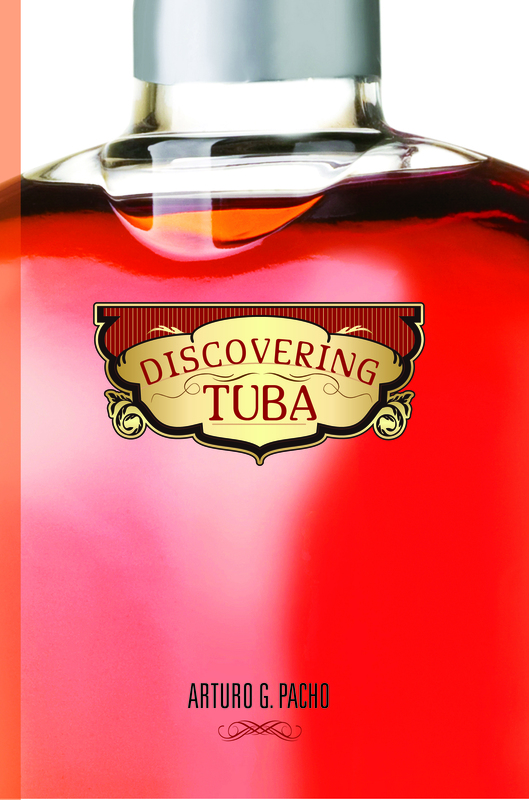 Tuba uplifts the spirit and the body and has the power to either intoxicate or to energize. To some it is a bitter drink, and to others a sweet and lively drink. That is the paradox of this drink because it also reflects both the bitter and sweet lives of those who gather, ferment, and sell the wine. The book describes that life in the coconut farm can be unsettling and hard, yet the tuba gatherer looks to a better and equitable future. An “alamat” (mythical legend) in reverse, unraveling the mystique of tuba, thus giving it the identity it deserves, and promoting pride beyond its commercial prospects. Reading the book is to look into the eyes of one who has quaffed tuba and understood why, at some time, one must make a toast to life, or dance to the strums of a lone guitar, or move with flair and hearty enjoyment to the beat of a drinking song. To pass up on the chance to make the toast is to miss out on an unforgettable experience. This book introduces readers to tuba, an indigenous wine of the Philippines collected from each gentle drip of the sap from the inflorescence of a coconut. In Leyte and Samar, tuba is the traditional drink that flows freely during celebrations, fiestas, weddings, funeral wakes, and birthday parties. The wine binds together the Waray-waray-speaking people to seek a common purpose and gives them hope for a better future despite natural calamities, tragedies, and benign neglect. True to his eclectic interests and concerns, Arturo G. Pacho has written on urban development, local government, ethics in government, public enterprise, and the ethnic Chinese community. In his professional life, Art did research and taught graduate classes in public administration at the University of the Philippines and as a teaching fellow at Kent State University, where he taught undergraduate classes in political science. Art also studied at Rutgers University in New Jersey, focusing on urban and regional planning. Retiring from the City of Los Angeles government as a management analyst, Art found the research on tuba a refreshing change and a good reason to return to his roots. He grew up in Tacloban City and has continued his commitment to support projects on the arts, education, and public health in Leyte.